Every player or gambler’s goal when going to websites like w88 is to gain more money by spending some money. Whether you are playing online casino or slot games, the consistency of the player to keep playing and pursuing several games is what makes online gambling and arcades exciting. Thus, the more times the player stays at the game and invests time and money on a particular game, the more chances they have to garner money before withdrawing.Withdrawing money from the W88 account is doable in just 3 easy steps. This article will hopefully give the user an idea on how to go about getting back their winnings when on the W88 website. Below is a step by step guide on how to check the existing winning amount the player can withdraw from W88 after just one round of game. On the upper right-hand corner of W88’s main page, the user will find the “Funds $” option. Select the option then click “Withdrawal” to proceed. 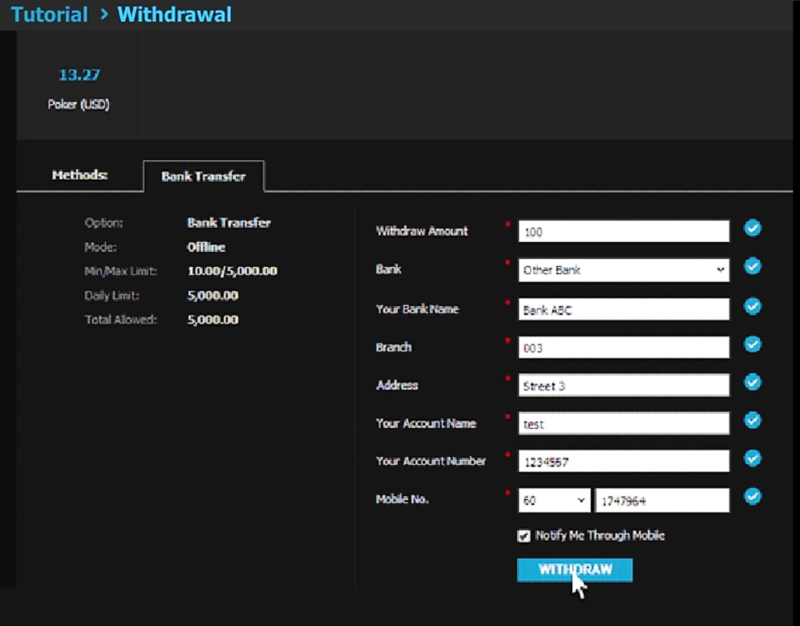 The user will then be brought to the Fund Management page where they shall select “Withdrawal” to withdraw money from W88. To the right side of the page, the user will also see their outstanding balance. It’s accompanied by all the games played and the equivalent points earned for each. The player’s rewards points are also indicated on the right most part of the page. lnformation like the exact amount they wish to withdraw from W88, the bank and its specific branch number, as well as the bank’s address must be stated. They user will also have to fill in their account name, account number and mobile number. 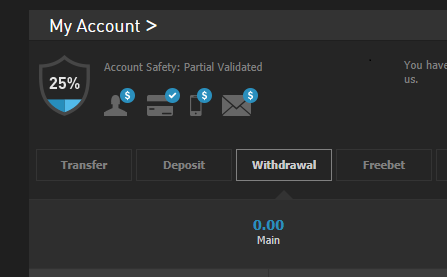 Click “Withdraw” then “OK” to proceed with the transaction. The user will then be directed to the final page of the transaction. The option to cancel is on the right most corner of the transaction. The user may click on “Cancel” if they wish to abort the transaction. 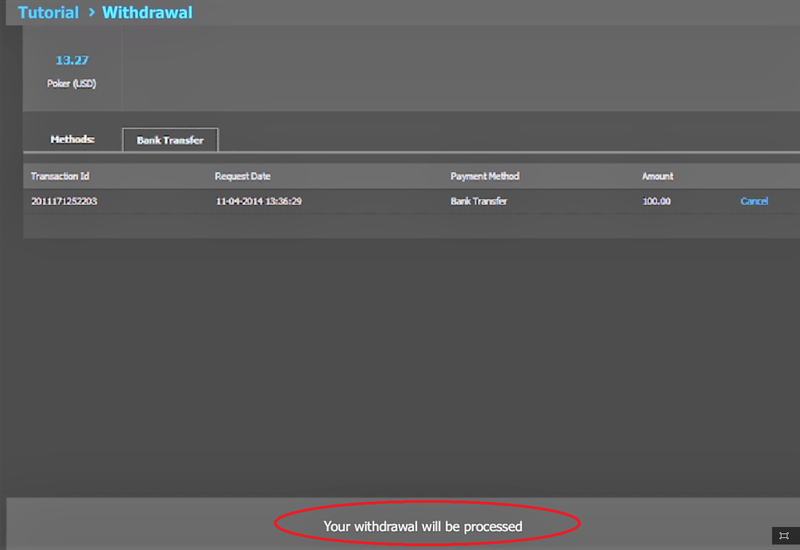 The phrase “Your withdrawal will be processed” appears on the bottom part of the page. This reminds the user to wait for the withdrawal transaction at W88 to go through their bank account. 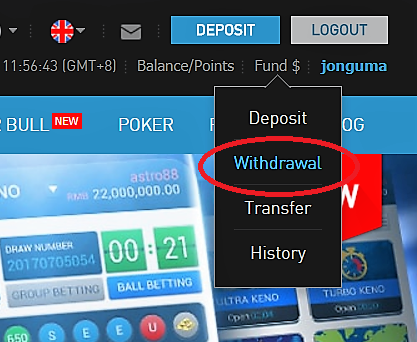 The most anticipated part about playing online games is the instant withdrawal option at W88 which is accessible for all players. This option makes it easy for users to consistently keep updating their balances. Keeping their points and rewards safe until its big enough for withdrawal is utmost doable at W88. Playing and gambling on W88 is user friendly from beginning to end. So take your chances now and see how much you can get back.